As one of the UK’s most respected companies in this sector, A New Room has access to a range of products that are unique in terms of look and performance than any other home improvement business. One of the most exciting and luxurious products available today is our recently introduced Opus hybrid system. Opus is a composite product, bringing together two materials that have been engineered to offer the combination and durability of aluminum to the exterior, with the sheer beauty and richness of hardwood to the inside. It’s very much a product offering the very best of both worlds, all our Opus products are hand built here in the UK by time served craftsman, the finished product is of a high quality providing the performance, security and aesthetics you would expect from A New room installers. 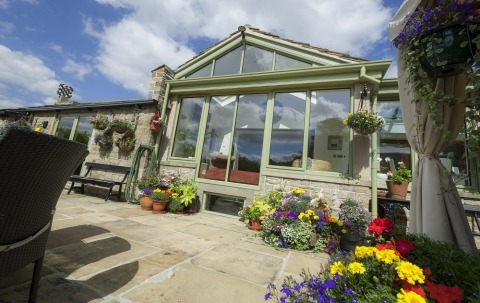 With literally hundreds of RAL colours to pick from on the outside, it’s a perfect opportunity to choose the latest contemporary options or alternatively traditional, period-inspired colours. 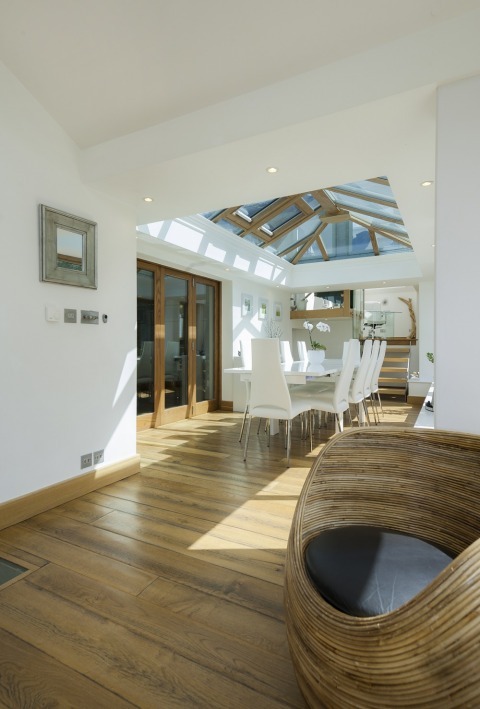 To the inside there’s the option of a beautiful lacquered ash timber, or alternatively we can offer a light or antique oak finish, along with a primed coating suitable for painting at a later date. The timber internal face is warm to the touch and is made from the finest of hardwood materials, made to stand the test of time. 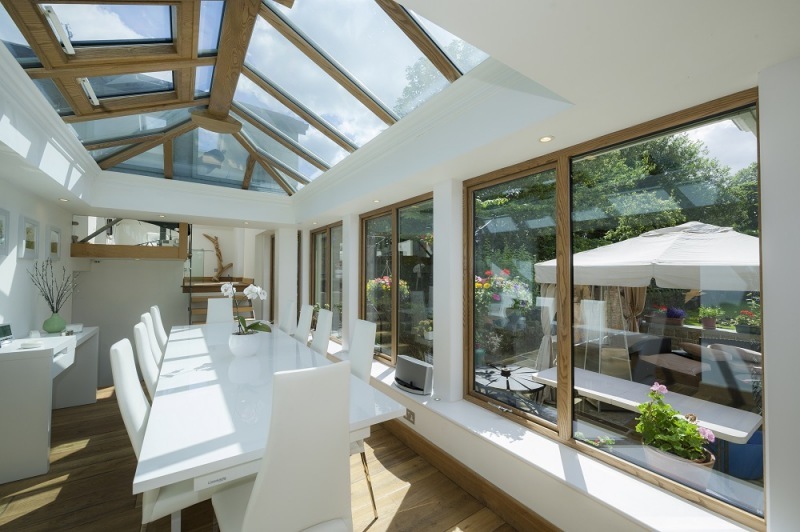 We are able to offer Opus across our product range, we have a window system, conservatory roof, modern lantern roof, french doors or even as a set of high performance bi-folding doors. It’s a complete glazed solution for whatever the project and our first few case studies having been nothing short of exceptional, with all those involved in each respective project thrilled with the final result. We’re one of just a handful of companies with the experience in manufacturing products in aluminium and with time-served joinery expertise. Combined with our nationwide network of Registered Installers, our customers have the reassurance from manufacturing right through to the final stages of installation. There’s also a 10-year warranty across the entire Opus product range, with a life expectancy well in excess of 30 years. Discover aluminium and timber in perfect harmony through our new brochure and get inspired.